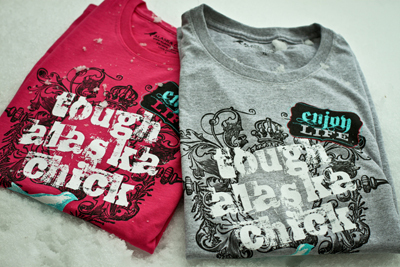 Alaska Chicks retail location is located at 840 S Colony Way, inside Cover Ups (right next to Carquest). Renting a space inside another business has given Charity Folcik, owner of Alaska Chicks the opportunity to run a business while being a stay-at-home mother of three. Check out her main website here. 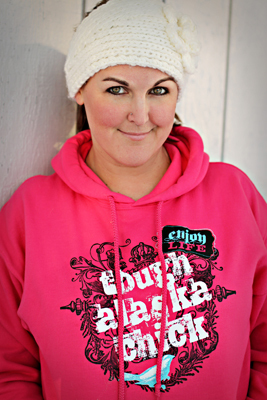 Alaska Chicks has since designed their own line of knitted headwraps and added a “Alaska Chicks” patch to the back of the headwrap. Most women are proud to be from Alaska, and Charity wanted to create a design for Alaska women to wear that is modern, yet has the vintage rugged look. 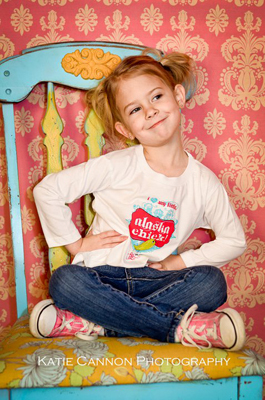 You can “Like” Alaska Chicks on FaceBook, and look for weekly giveaways as well as stay up to date on new designs as well as new products. You can shop online at www.alaskachicks.com Keep an eye out for the new men’s tshirt design coming shortly! Alaska Chicks recently got a new application that allows you to shop right from FaceBook. Check it out! Be patient, it might take a bit to load.